A psychologist who has worked with computer scientists, audio engineers and later turned her attention to fashion has won the British Psychological Society’s 2017 Award for Distinguished Contributions to Psychology Education. 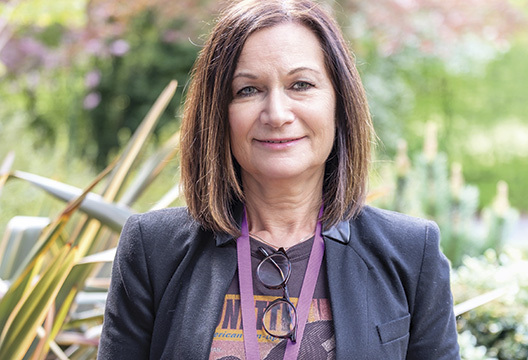 Professor Carolyn Mair who created master’s courses in psychology and fashion at the London College of Fashion said she was over the moon to receive the award. The courses – an MSc Applied Psychology in Fashion and MA Psychology for Fashion Professionals – are the only two master’s courses that marry both topics anywhere in the world. Mair said she was proud to have combined the disciplines in an innovative way at one of the top fashion colleges in the world, and a BSc course in the psychology of fashion began recruiting last year. After coming to psychology in her thirties, Mair has had a varied, fascinating career path; she has worked with computer scientists studying decision-making in software cost prediction, in AI and machine learning, as well as in the creative industries, including early work as a portrait artist, graphic designer and dressmaker. She has since moved into consultancy work and has written a book The Psychology of Fashion, published in the Routledge series ‘The Psychology of Everything’. - To find out more about Mair’s consultancy work see psychology.fashion and read our collection of articles featuring her work.